The weddings season is in full flow now, so I thought it would be nice to document as many events as I can on my blog! Well, May kicked off with a bang as I had a great night playing a private birthday party at The Station Kitchen, Bristol. Didn’t manage to get any photos of the event unfortunately, but it was a great evening with an eclectic mix of songs, from the Jackson Five right through to George Ezra! 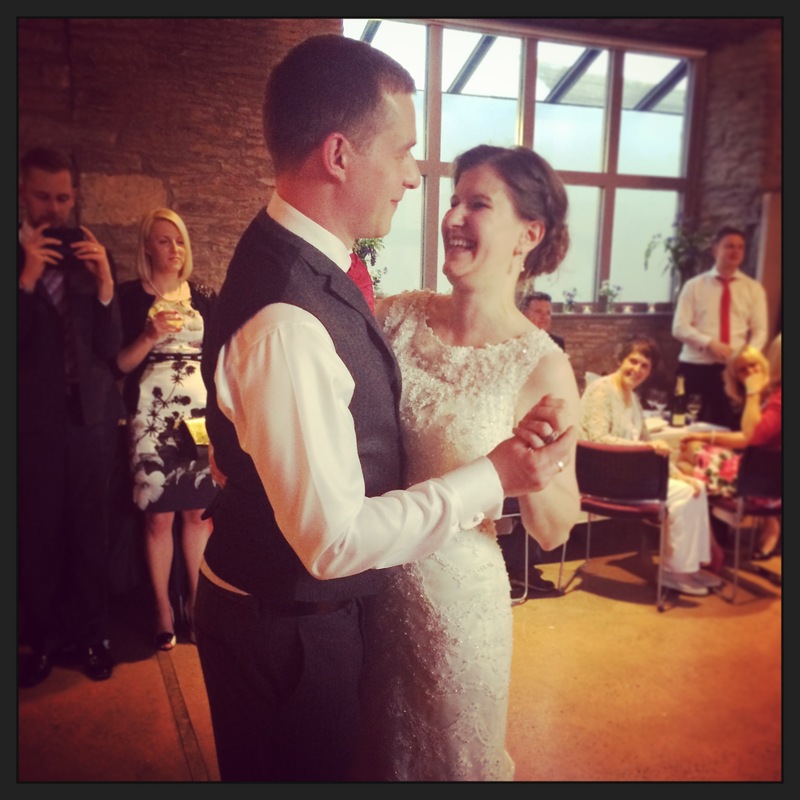 The second weekend of the month involved a typically loud Friday night gig at my resident venue Illusions Magic Bar, followed by Matt & Laura’s spectacular wedding at the beautiful Nailsea Tithe Barn. 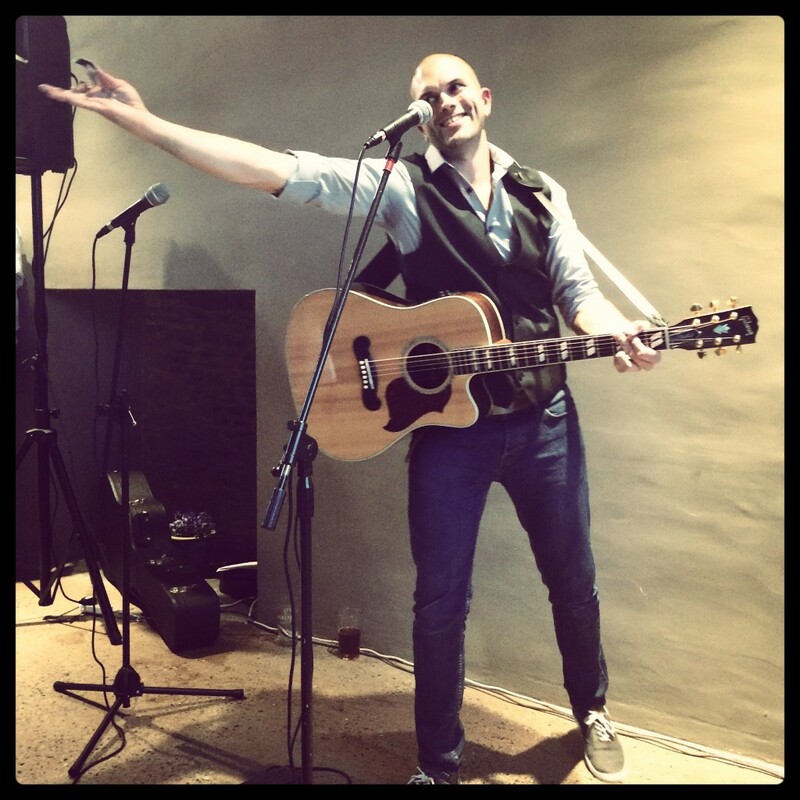 I play at a lot of wedding ceremonies & drinks receptions, so it was nice to play an evening set! Matt and Laura picked all the tunes on the night, with quite an indie/rock feel to the set list. I kicked off the night with their first dance – a song I’d actually never heard before “Hooked on a Feeling” by Blue Swede. Stripped back, it worked brilliantly on acoustic guitar, and it was a lovely moment. I captured quite a bit of the evening on film – so when I get a chance to sync the audio/video, splice together the footage and make it look a bit prettier, I’ll upload some videos. Later on, Laura & I surprised the wedding guests with a rendition of “Valerie” by Amy Winehouse! 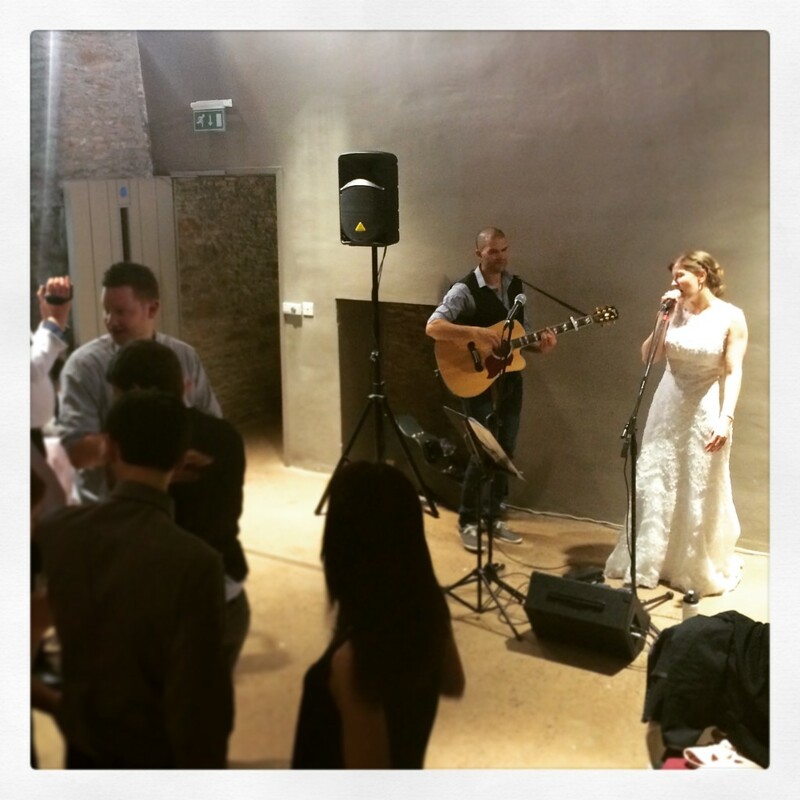 The bride joined me on stage to sing, and was absolutely brilliant! Maybe slightly too brilliant 😉 but if anyone’s allowed to outshine me, surely it’s the bride!! The bride showing me how it’s done!! 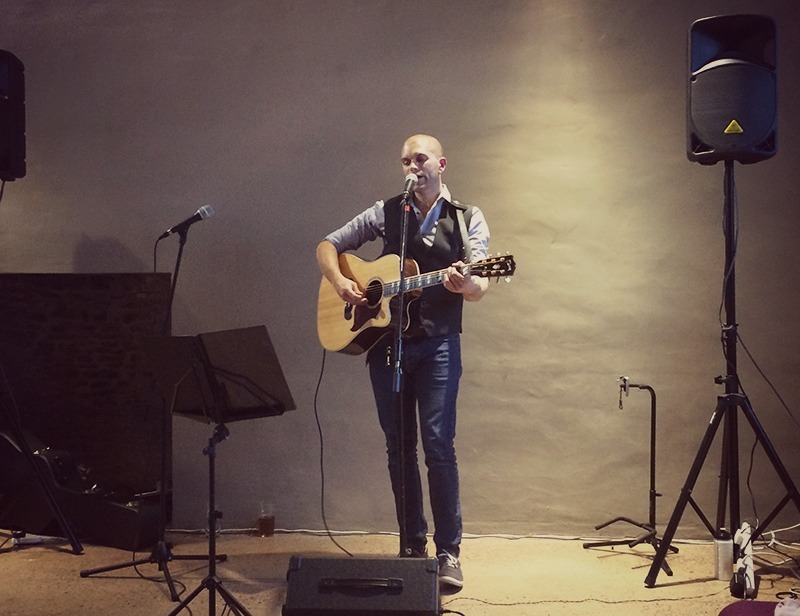 This entry was posted in News, Wedding Guitarist Blog and tagged acoustic, appearance, appearances, Bristol, entertainment, event, guitar, guitarist, live, live music, music, musician, Nailsea, singer, singing, wedding, weddings by Pat McIntyre. Bookmark the permalink.